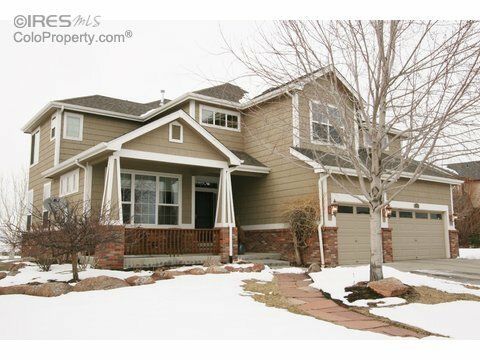 Magnificent home in southwest Fort Collins. It has it all. Large rooms to spread out. Hardwood flrs and hickory cabinets. Formal living/office space and guest bedroom on the main level. Huge master bedroom with 5 pc master bath. Open loft area on upper level. Relax on the balcony with an amazing view of open space behind the home and the nearby foothills, or recline on the shaded patio outside your walk-out basement. Basement is unfinished and ready to expand. Don't let this one get away.